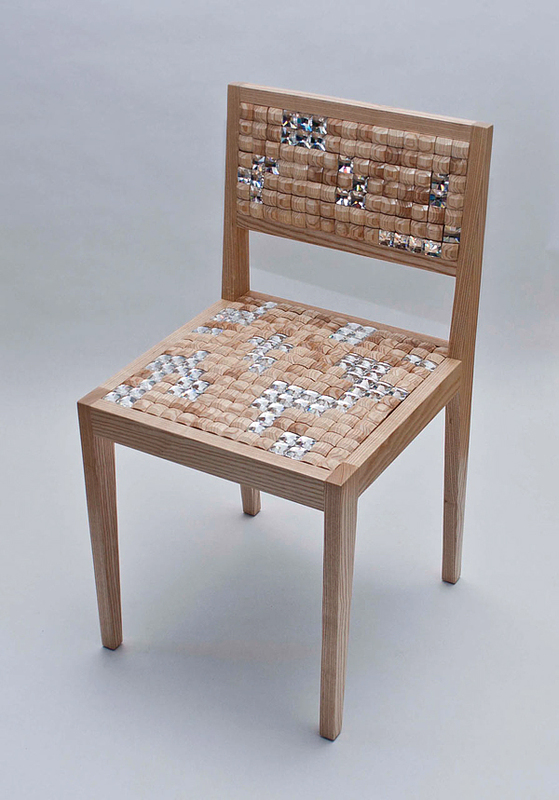 Annie Evelyn is a furniture designer who has been developing her unusual furniture upholstery techniques since she was a student. 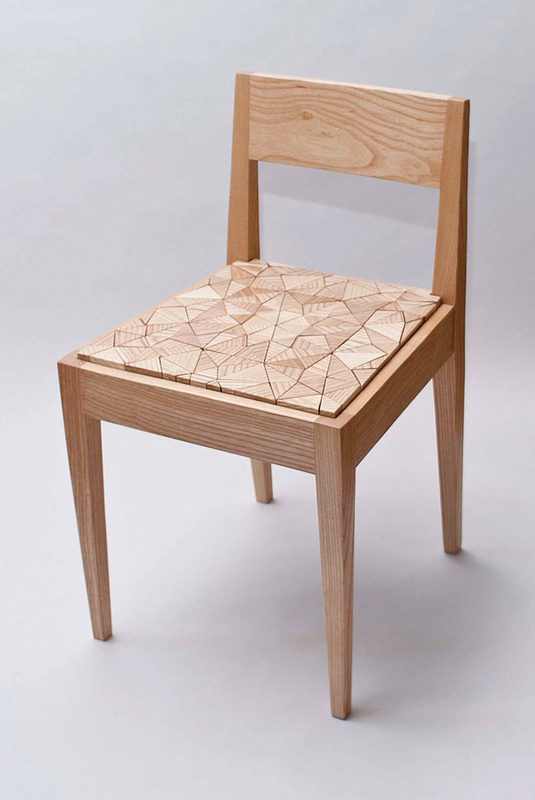 This collection of chairs, named “Squishy”, has been designed for Brooklyn-based company New Colony Furniture. 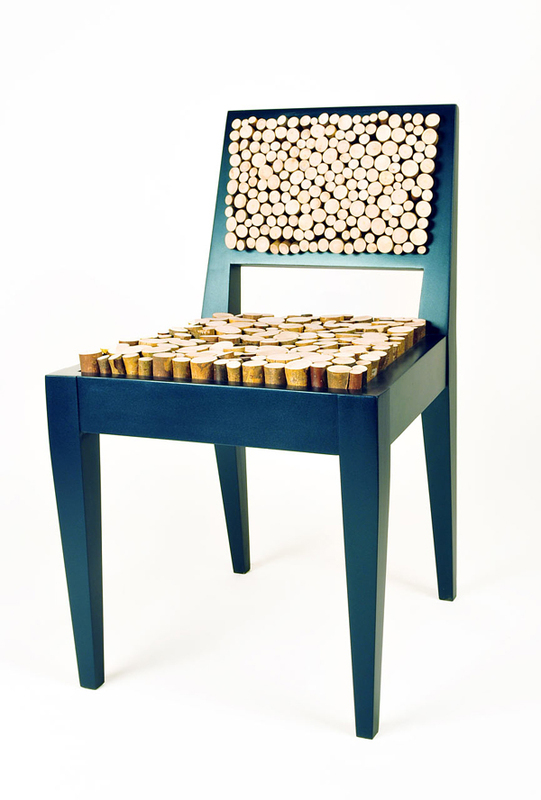 Other Evelyn’s works in her portfolio display a sense of humor about seating, with an “impolite chair” boasting a built-in whoopee cushion, and a piece entitled “Sit on My Finger” that’s a tiny chair you wear as a ring. 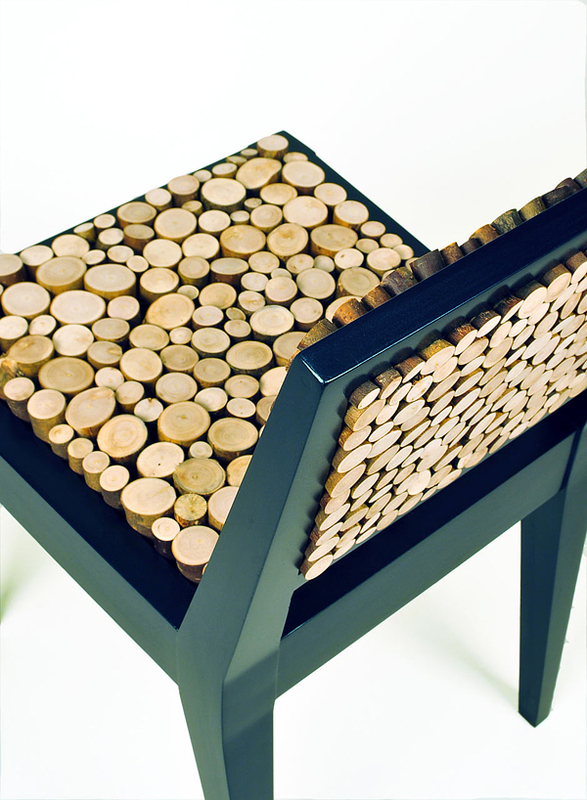 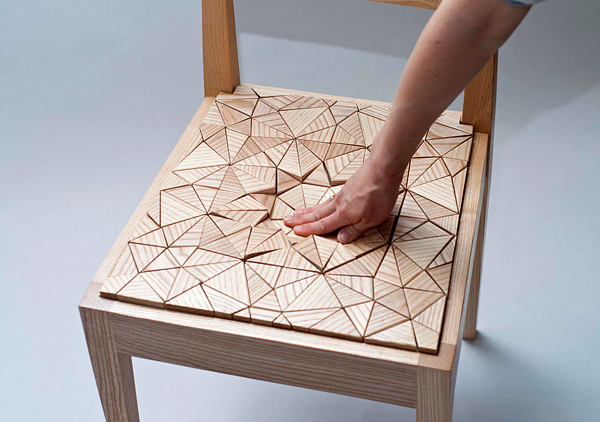 Evelyn reclaims wooden chair frames, lines the seats and backs with foam, and painstakingly covers these surfaces with small pieces of hard materials that give way when pressure is applied. 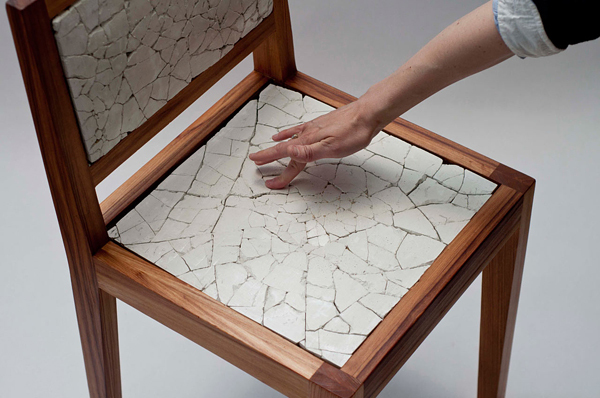 With this technique, she’s able to make cracked cement, tiles and faceted pieces of wood into exceptionally comfortable seating surfaces. 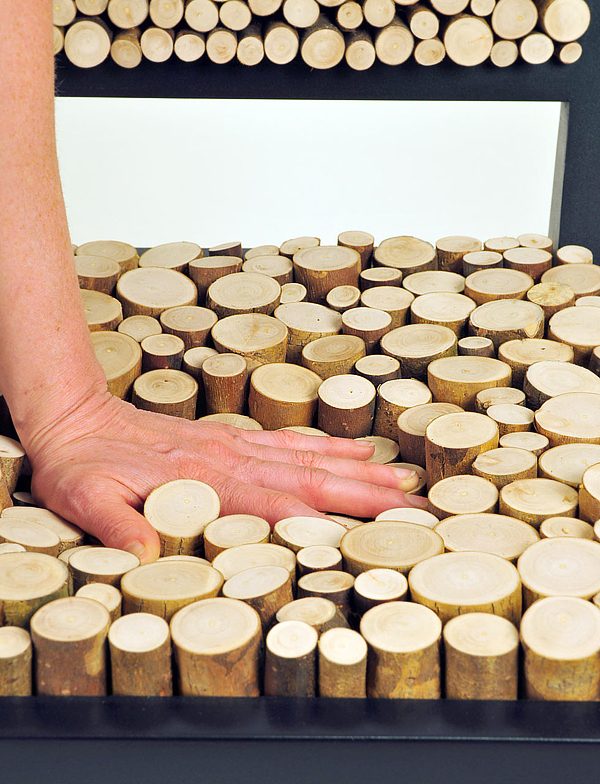 Instead of poking you, those sticks will cradle the curves of your body.